What would you do if someone told you that he was going to kill you in a week? Go and report it to the police, who should find and arrest that person in order to prevent the crime? Or maybe, as seen in many movies, make and try to realise your bucket list - things you have never done and want to experience before death? 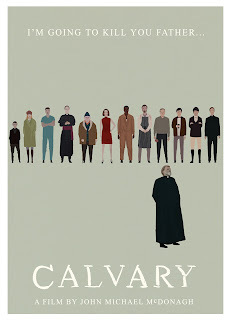 Father James, the hero of Calvary made by Irish director, John Michael McDonagh, does none of this. Instead of, he chooses to shoulder the symbolic cross of not his faults (he was clearly said he will be killed just for the other priest's wrongdoings) and go with it. Just like Jesus Christ over 2.000 years ago. So what father James is doing through the last week of his life are the same things he does usually as his parish's shepherd: he is just trying to help the others to be a decent people. Which seems to be a Sisyphus work, as his parishoners are not really interesting neither in his 'teachings' nor in 'his God'. They may be not exactly happy or satisfied, but still prefer theirs convenient, focussed mostly on their own needs, life to listening of some priest's advices (implementing of which would take some effort from them). So father James seems to be as lonely in his last days as Christ before his crucifiction. And similary he also has his share of doubts in his 'mission'. Still, what makes him even more human and worth of respect, after every fall he stands up and go on. Why? Probably because he has this rare in today's times quality - a true vocation. 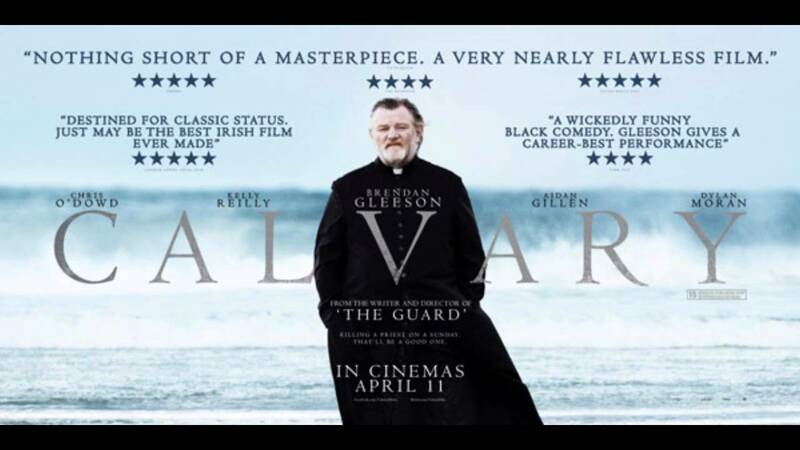 And it really helps he is played (brillantly indeed) by Brendan Gleeson, whose look makes us almost instantly sympathise with him. Yes, father James really believes in God and want to see the goodness in the people. Not that he is so naive to trust in all people are declaring to him. Nor he will accept any money given for 'the Church' if he feels that motives behind this decision are not sincere and no real repetence is present. So he has also some demands and probably this makes his work so frustrating. Does this rather gloomy picture mean that his sacrifice will go down the drain? Not exactly. Father James deeply believes in the value of forgiveness and the case of his killer-to-be shows us exemplary how powerful weapon it can be. Deeply harmed as an innocent child, as an adult still having this anger inside, the man evolves from a victim to an executioner. What can break this well known in psychology spiralic circle of violence is only the forgiveness and this is a truly important and deeply catholic message (awarded even with an Ecumenic Jury Award at the Berlin Film Festiwal). Not easiest to apply in own life, that is why watching Calvary may be quite disturbing, but it is definitely the movie worth seeing (and thinking of). Irrespective of your faith status.